When we think of Our Lady of the Angels the first word that comes to mind is FAMILY. Family is a connection to life, a tie to the past and a road to the future. Over the last 152 years, generation after generation attended Holy Trinity School, St. Peter’s and now Our Lady of the Angels Catholic School. The Horn Family has been members of Holy Trinity Church and all 4 Generations have attended Holy Trinity and now Our Lady of the Angels. May there faith in Catholic Education be a testimony on why you should have your child attend Our Lady of the Angels. 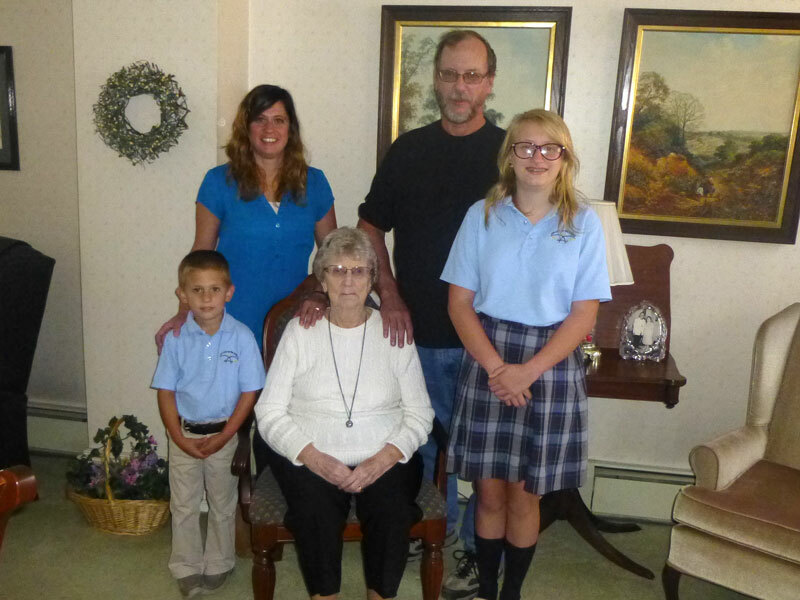 Pictured: Mrs. Betty Horn, Mr. James Horn, Mrs. Tina Horn Grove, Clayton and Mya Grove.